Researchers at Abbott Northwestern Hospital, in Chicago evaluated the effectiveness of an inpatient integrative medicine consult service for pain management. The medical records of approximately 1837 cardiovascular, medical, surgical, orthopedics, spine, rehabilitation, oncology, and women’s health patients were reviewed. Pre and post-treatment pain scores were measured using a on a verbal scale of 0 to 10. 66% of patients never previously received integrative services. Provision of integrative services had immediate and beneficial effects on pain scores. The average reduction in pain scores was 1.9 points (on a 10-point scale). 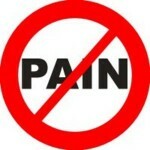 The average percentage in pain reduction was approximately 55%. That’s impressive considering that a 2 point decrease in pain scores is generally clinically significant for patients with chronic pain such as fibromyalgia. The conclusion one comes to is that pain therapy is easy when CAM is used. Yet, in the real world controlling pain is anything but. Furthermore, the authors concluded it was a service that was practical and financially feasible in the real world. And apparently all this was accomplished with no side effects to patients. Many questions go unanswered. For example, it would be useful to know the contributions of individual CAM treatments. It would be useful to know whether CAM was alone or as adjuncts to alopathic treatments. It would be useful to know the underlying diseases of these patients and the drop out rates. The authors did none of this. They reported the minimum necessary to support a positive conclusion, and the editors apparently never asked for greater detail. Too bad because in the absence of these details it’s impossible to come to properly assess the reported conclusions. This entry was posted on Tuesday, January 1st, 2013 at 8:01 PM	and is filed under Acupuncture/ pressure, Aromatherapy, Art, Music, Dance, Massage, Mindfulness, Pain, Reflexology, Therapeutic Touch. You can follow any responses to this entry through the RSS 2.0 feed. You can leave a response, or trackback from your own site.